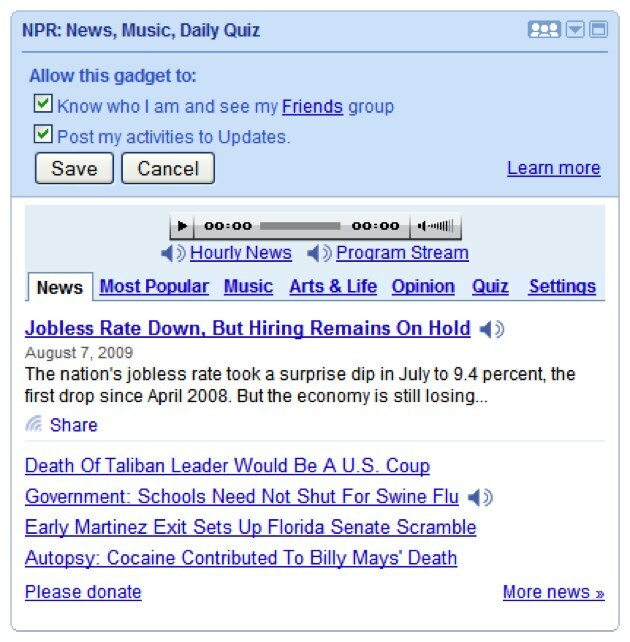 iGoogle, a personalized homepage that competes with My Yahoo, My MSN, My AOL, Netvibes and others, will release 19 new in-house and third party iGoogle widgets today that add new social and sharing features to users of the service. An overview of the service is in the video below, and a tour of some of the features and gadgets is here. In an interview yesterday, Google VP Marissa Mayer and iGoogle Product Manager Rose Yao said they hope to engage users with social games and sharing with friends. We then played a quick game of Scrabble on iGoogle. 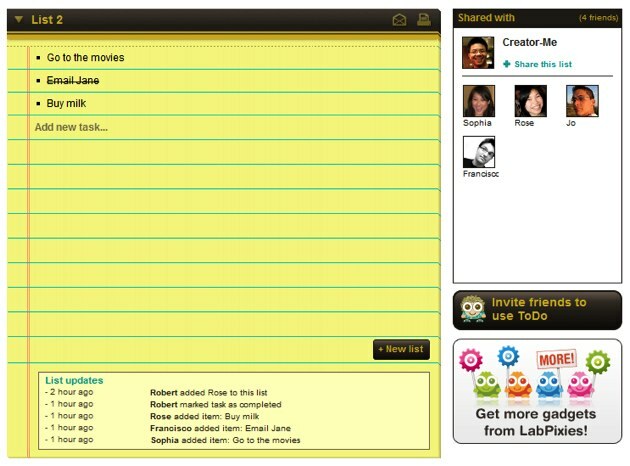 We saw some early tests of social gadgets from Google earlier this year. 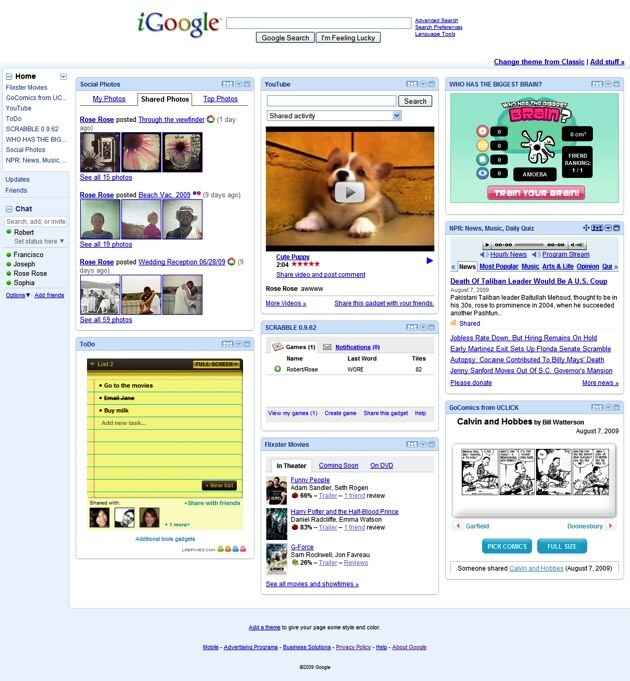 This is the latest enhancement to iGoogle, which Google launched in 2005 and has been pushing as an alternative home page by periodically promoting it on Google.com. According to the latest Comscore stats, they still trail Yahoo’s 44 million monthly visitors – iGoogle is second with 25 million monthly visitors, followed by My MSN with 4.6 million and Netvibes (which has tried its own social platform) with 1.3 million. Things haven’t changed all that much from 18 months ago. 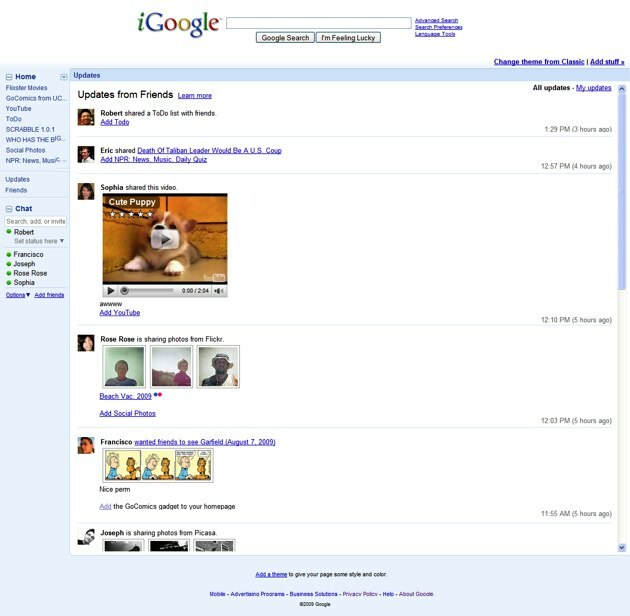 There are a total of 60,000 or so gadgets available on iGoogle today. Playfish – WHO HAS THE BIGGEST BRAIN?